CHARLOTTE -- The Charlotte-Mecklenburg Police Department headquarters was evacuated after a suspicious package was found in the mail room. 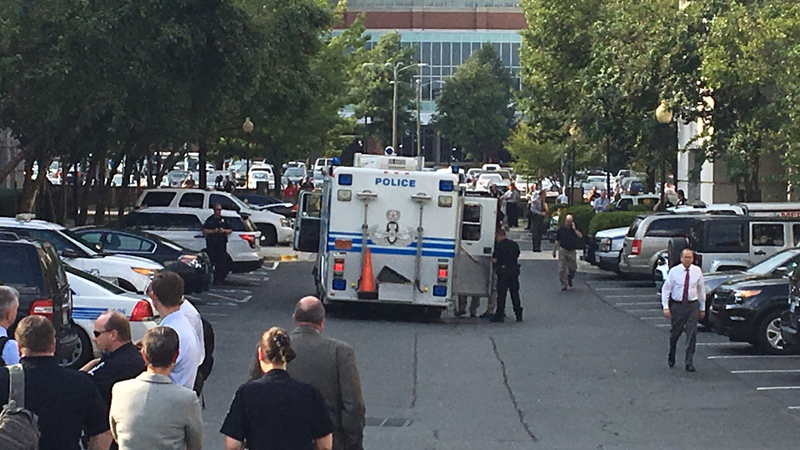 There were reports of a bomb threat and the Charlotte Fire Department is assisting police. Bomb squad has arrived to investigate suspicious package. A bomb squad is on the scene. The evacuation comes a week after Keith Lamont Scott was shot and killed by police, sparking protests and demonstrations in the city.